The Éditions Dupuis is publishing, in a limited edition, the facsimile of the original (and exceedingly rare!) 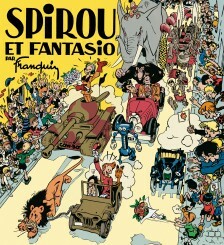 edition of the first album of the adventures of Spirou and Fantasio, signed by Franquin, published in 1948. A must for all collectors and fans!